As a new season of gardening begins, here are our picks for garden events to check out this month. 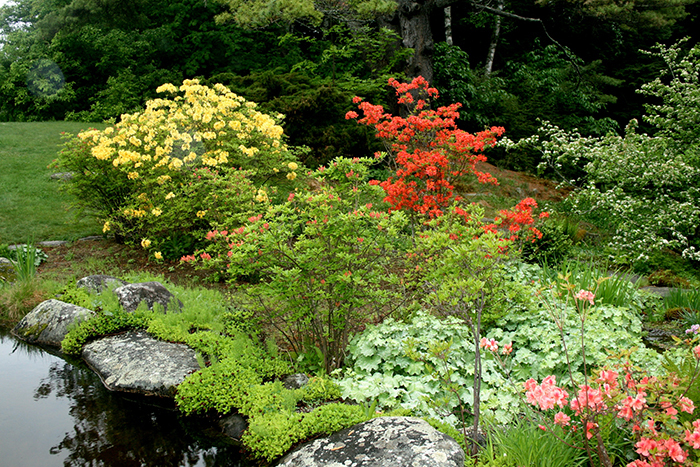 Bedrock Gardens in Lee open to the public for the third weekend of every month starting May 21-22. Kale makes a tasty accent amid the flowers at Bedrock Gardens. 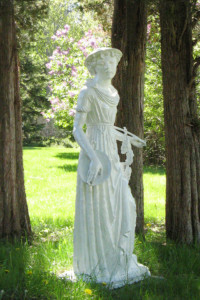 The Fells Historic Estate & Gardens features a historic home, gardens, an indoor art gallery, and outdoor sculptures. 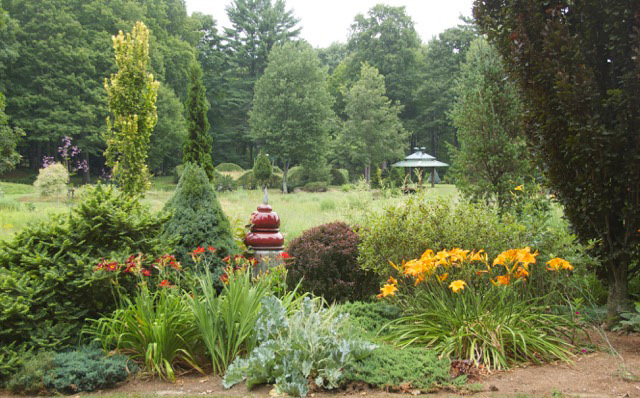 The Funnel Gardens at Bedrock Gardens feature perennials, shrubs, and trees. 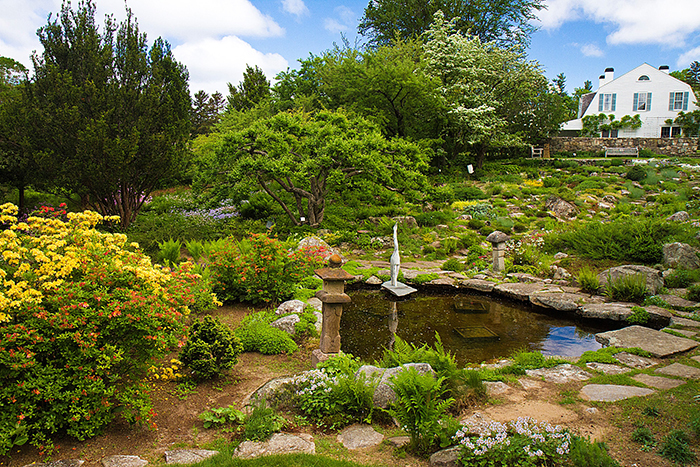 The lily pool at the Fells Historic Estate & Gardens is surrounded by azaleas and Japanese iris. 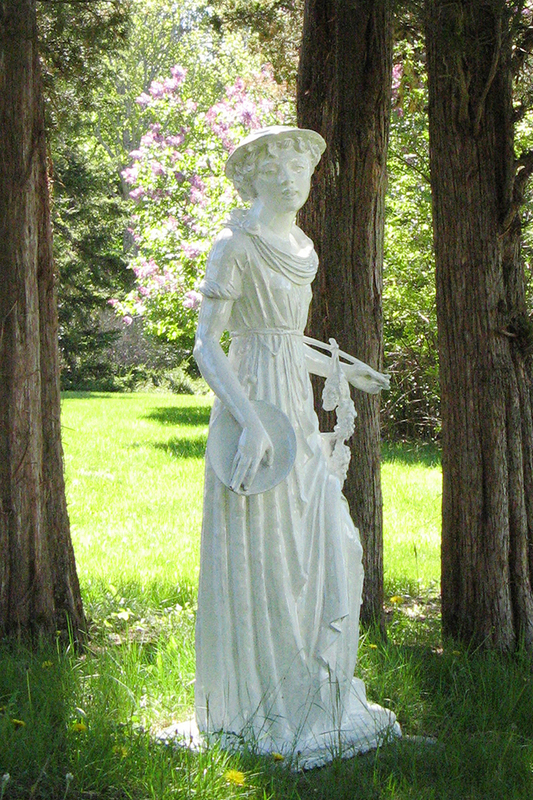 The Pebble Court at the Fells Historic Estate & Gardens is home to the “Hebe” statue. The first open house of the season has an international theme. Art students ages 10-18 from various schools will honor different cultures of the world in a far-ranging installation throughout Bedrock Gardens. Additionally, The Jazz Lab will perform on Saturday from 12-2 p.m. Bedrock Gardens is a 30-acre private garden that is open every third weekend of the month from May through September and on Columbus Day weekend. 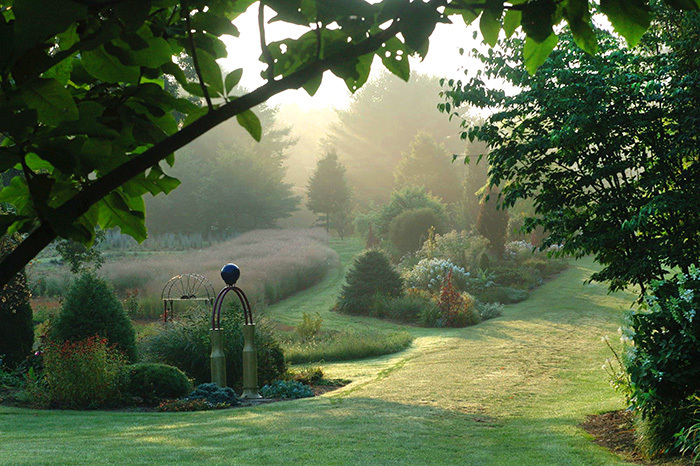 The garden, which also houses a number of whimsical sculptures, has been carefully cultivated over the past 37 years. Stroll through the formal Parterre Garden, the Garish Garden, the Dark Woods and more while pausing to admire the Japanese teahouse, a gazebo, the 200-foot water works called the Wiggle Waggle and, of course, plant species from all over the world. There is a $10 suggested donation. 45 High Rd., Lee. (603) 659-2993. 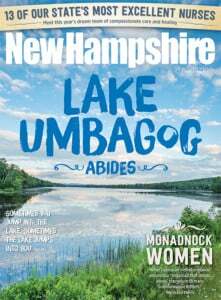 This combination of gorgeous gardens, outdoor sculptures, nature trails and art gallery is located on a nearly 1,000-acre hillside overlooking Lake Sunapee. There are a number of events happening throughout May, including National Public Gardens Day on May 6-8 from 10 a.m.-4 p.m. Join The Fells in a nationwide celebration of public gardens and get a preview of the Art in Nature 2016: Outdoor Sculpture exhibit. Treat Mom on her day (Sunday, May 8) and pack a picnic to enjoy on the veranda. Admission is free. The Art in Nature exhibit formally opens on May 28 and remains open through October 10. 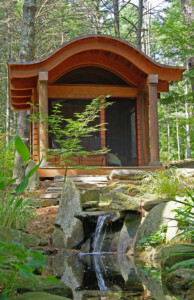 Discover the spectacular art of well-known New England sculptors as you explore the beautiful gardens and grounds of The Fells. 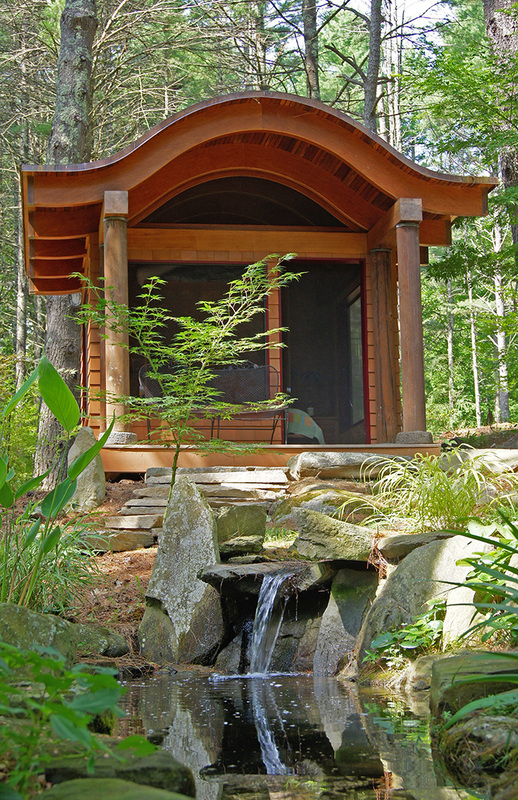 Each piece is sited to seamlessly integrate into the surrounding gardens and natural landscape. 465 Rte. 103A, Newbury. (603) 763-4789. Inspired by New Hampshire's gardens and want to spruce up your own? Here are some local plant sales to get you started. 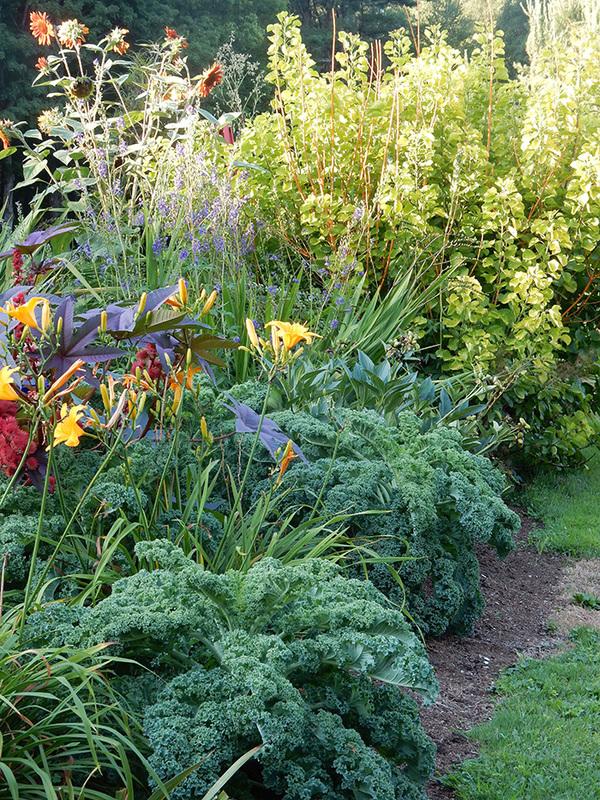 More than 2,000 locally grown perennials are lovingly dug and potted by the members of the club. There will also be gardening vendors, heirloom tomatoes, birdhouses, hanging baskets, vegetable plants, annuals, a great variety of hosta plants, day lilies and more. Wilkins Elementary School, Boston Post Rd., Amherst. This annual plant sale is held rain or shine. 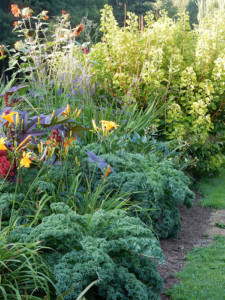 Find a wide variety of perennials and some annuals donated by community members. Perennials of every shape, size and color are for sale. 8:30 a.m.-1 p.m. The Community House Lawn, Milford. Master Gardener Ginny Kanzler instructs you on designing and planting container gardens. 9:30 a.m. Salyards Center for the Arts, 110 Main St., Conway. The annual fundraiser offers a selection of annuals, perennials, herbs and vegetables, many of which come from members’ gardens. 9 a.m.-11 a.m. Old Bedford Town Hall, 10 Meetinghouse Rd., Bedford. This is the annual fundraiser for this now 80-year-old club. 9 a.m.-12 p.m. Pine Knoll Cemetery, Rte. 10., Hanover. Did you get a little carried away shopping for herbs? Figure out what to do with the flats of pots you just purchased with help from Lauriejane Kelley from Steeplebush Farm Herbs. Learn all about how to cultivate, harvest and dry herbs effectively. $9. Registration is required. Strawbery Banke Visitors Center, Tyco Center, 14 Hancock St., Portsmouth. (603) 433-1100. Are you looking to enhance your own gardens? Do you need a unique gift? Do you hope to learn more about flowers, shade plants, best choices for wet or dry conditions? Check out our well-labeled plants to learn which will best meet your needs! Bring color to the your gardens. 9:30 a.m. – 11:30 a.m. North Conway Community Center, North Conway.